Happy Spring everyone! It’s March again and we all know that means in the camp world – less than 100 days to camp! It also means the start of the NCAA Basketball Tournament (better known as March Madness). The President of the United States admits his basketball brackets are already busted! Well, we decided that instead of basketball brackets, we would make our own camp activity brackets. 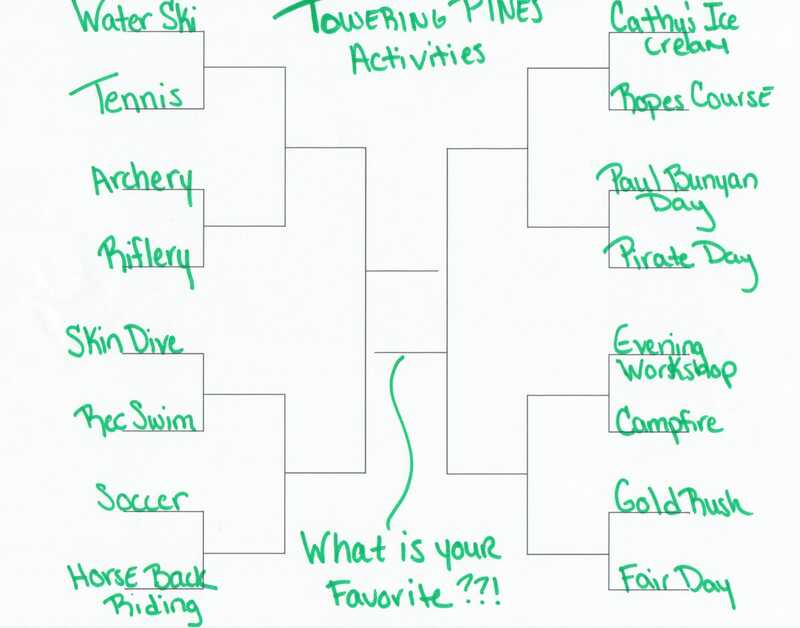 We filled it with some of your favorite Towering Pines activities, for you to complete. With all the fun activities to pick, it will no doubt be difficult to choose a winner!